Just as we wash our clothes and take a bath to cleanse our physical bodies, smudging helps us in spiritual cleansing. 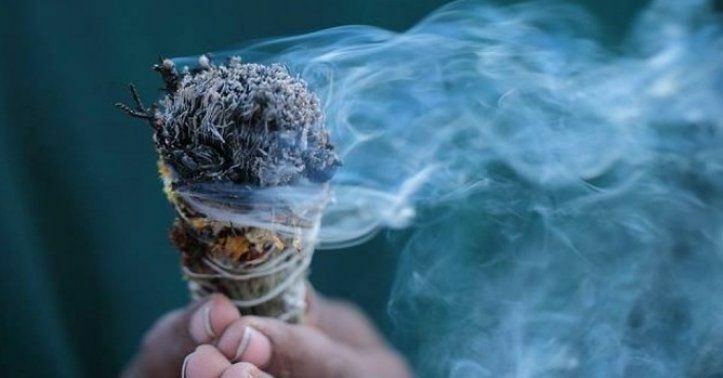 Your smudging guide online can help you cleanse not only the space and the environment around you, but also your own energies and energies of other people. It helps do away with low, unwanted, and depleting energies and also helps ward off evil and negative intentions. Smudging sets the pace and environment for positive affirmations and helps attract positive energies by creating a clean and pure environment. People use it before any healing or ceremonial practice and ritual or any spiritual practice. It also helps protect you and your space. It helps prevent illnesses and diseases. By cleaning the energy body, smudging prevents these problems to manifest in the physical body. Smudging is not the privilege of only spiritual seekers and practitioners. A common person can do it too. The practice of smudging is easy, simple, and highly effective. Smudging uses various sacred herbs, plants, resins, oils, and sea salt. These are powerful medicinal herbs and plants that release their healing properties in your space. They chase out all the negative energy around you. Today, practitioners also use crystals. It is possible to enhance the power of smudging through positive affirmations and prayers. Smudging can be done any day, any time, and almost anywhere (any space you want to cleanse and purify). It can also be done as many times as you want. Despite the actual power of the sacred herbs, your intention and affirmation set the tone for the entire smudging process. This is where the importance of positive affirmation and prayer comes in. Ask and invoke your divine guides and helpers to assist you in the process of smudging. Then light up the herbs in a fireproof ritual or ceremonial bowl. Generally, an abalone shell bowl is used for this purpose. Various kinds of smudge sticks are available. You can make one yourselves too. These smudge sticks are simply bundles of dried herbs. Smudging herbs include white sage, sweetgrass, juniper, cedar, mugwort, and lavender. While lighting the match to light up the smudge stick, breathe in and invite and invoke the divine energy and universal life force. It is important to say your positive affirmation, intention, or prayer at this moment. You would want to ideally create as little flame and as much smoke as possible. With the help of a smudging fan, spread the smoke of the sacred herbs all around you. While doing so, say all the positive affirmations and release all negative and unwanted energies and thoughts. Submit all blocks and negativity to the divine energy of the sacred smoke. Make sure to get the sacred smoke all around you – in front of you, behind you, as well as below your feet. Cleanse yourself from head to toe, releasing everything that no longer serves you. Visualize and imagine the smoke warding away all unwanted energies from your home and space. To cleanse your home or space, simply walk around with the smudging dish or bowl with smoke rising out all around. Take the bowl and smoke especially to the corners. Picture everything you want to get rid of and let go – all negative and unwanted emotions like anger, hurt, pain, jealousy, hatred, fear, and whatever it is that may be bothering and disturbing you. Finish the smudging process with gratitude. Thank your smudging stick, fan, and bowl. Thank yourself. Be thankful to the higher self. Thank the divine energies and universal life force. Thank the sacred smoke and sacred herbs. After the smudging process is complete, be aware of and focus within. Feel and be aware of yourself shining bright, free of any negative energy and full of positive energy. Feel your vibrations rising and tune in to your internal guidance. Follow the above step-by-step guide for spiritual cleansing. Alternately, you can find a smudging guide online and follow the same for effective cleansing. Smudging is a simple and highly effective tool to feel and be positive immediately. Regular smudging can raise your positive vibrations and contribute to an enhanced sense of well-being and quality of life.